It is finally here! 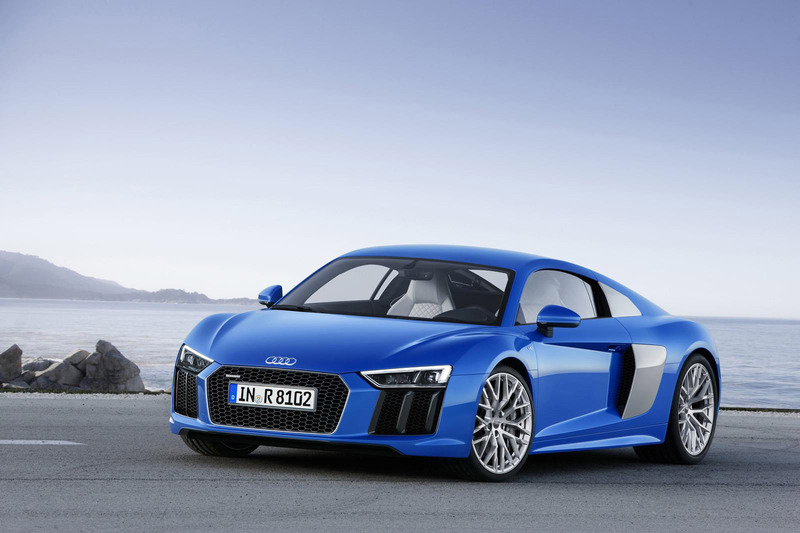 Audi took the wraps off of its newest model named Audi R8. 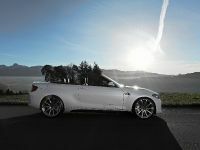 It will be debuting during the 2015 Geneva Motor Show next week, promising to deliver a genuine definition of an evolutionary styling and driving capabilities. 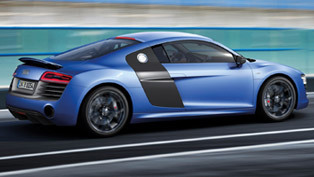 The overhauled second generation R8 is powered by an improved V10 5.2-liter FSI naturally aspirated power unit which offers 540 HP (397 kW) and 540 Nm (398 lb-ft) of maximum torque in the base model, and generates 610 HP (449 kW) with a peak torque of 560 Nm (413 lb-ft) in the V10 Plus variant. 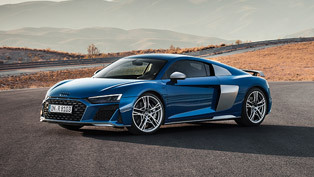 When we talk about performance, the revamped Audi R8 needs exactly 3.5 seconds to sprint from standstill to 62 mph (0-100 km/h) before hitting a top speed of 200 mph (320 km/h). Thanks to the Plus mode, this run is covered in 3.2 seconds, thus hitting the 205 mph (330 km/h). 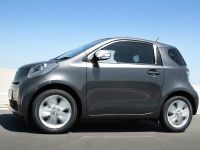 The car consumes 11.8 liters per 100 km on average (19.9 mpg US or 23.9 mpg UK) with CO2 emissions of 275 g/km. 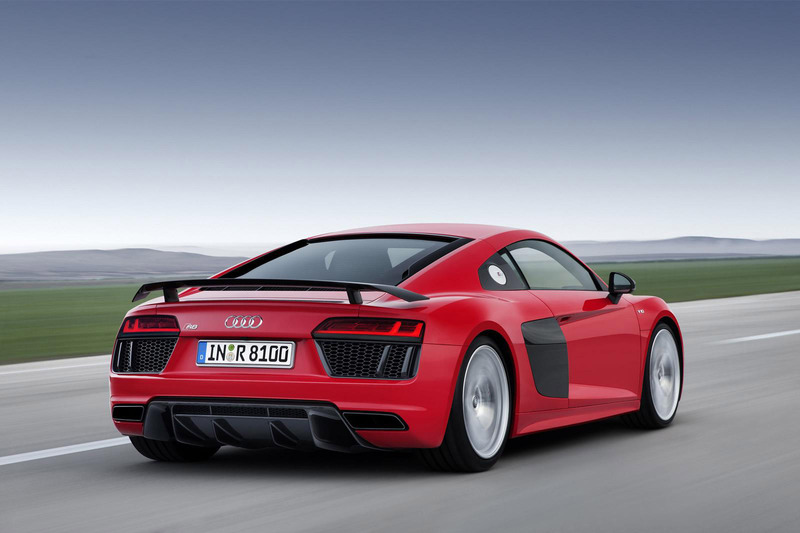 The R8 V10 Plus consumes 12.4 liters per 100 km (18.9 mpg US or 22.7 mpg UK) with CO2 emissions of 289 g/km. 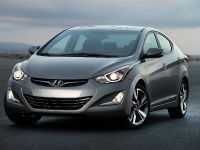 Both engines are mated to a revised seven-speed S tronic gearbox. 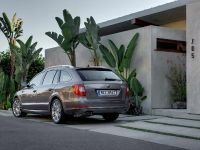 It has three automatic modes and manual control and transmits power to a permanent quattro all-wheel drive system fitted with a front electrohydraulic multi-plate clutch. 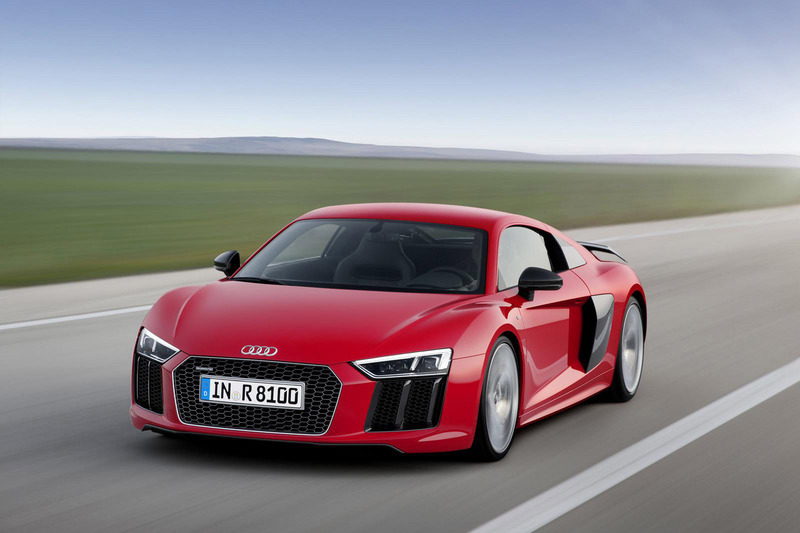 Arriving with a lighter aluminum body, the long-awaited 2016 Audi R8 is 4.42 meters long (14.5 ft), 1.24 meters high (4.1 ft) and has a relatively short a wheelbase measuring 2.65 meters (8.7 ft). 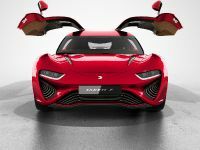 With prominent proportions, the car exhibits sufficient amount of sportiness and characteristics suitable for a real race car. 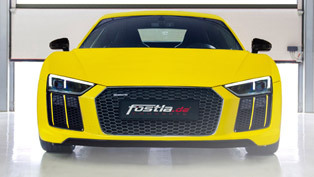 We can see a signelframe front grille, familiar flat LED headlights which can be replaced by optional laser lighting clusters with extended range of up to 600 meters. Moving to the side profile, this high-performance sports car has curvy lines that continue to the wheels. The prominent shoulder line is formed like a "powerful muscle" and connects the wheels with one another, while dividing the side blades in two. 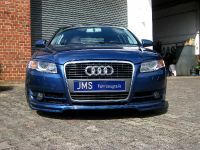 This makes the car appear longer and lends it a more dynamic presence. 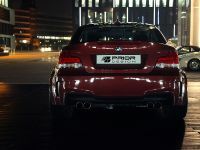 At the back, the LED taillights give the vehicle a more mature and serious outline. Also, there is a retractable rear spoiler. The Plus model impresses with a new wing made of carbon fiber reinforced plastic (CFRP). 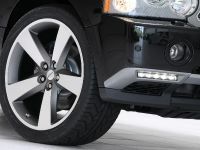 The base model moves on 19-inch wheels with 245/35 front and 295/35 rear tires with 20-inch alloys with 245/30 & 305/30 tires available as an option. 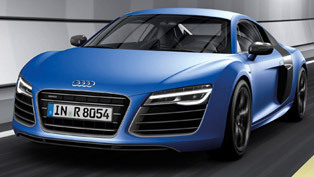 In terms of the interior, when we step inside the Audi R8 it feels like we step inside Heaven. 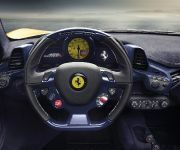 The cabin benefits from new bucket seats with stylish looks and a driver-focused cockpit. The latter features a configurable 12.3-inch Audi virtual cockpit which replaces the tons of buttons and knobs. Buyers are given the opportunity to select either Alcantara, pearl Nappa leather or fine Nappa leather upholsteries. 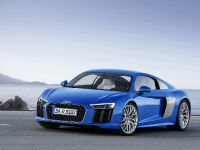 Set to go on sale this summer, the new Audi R8 has the starting price of €165,000 for the standard model and €187,400 for the Audi R8 V10 Plus.